Youngest House on the Market in this Community! 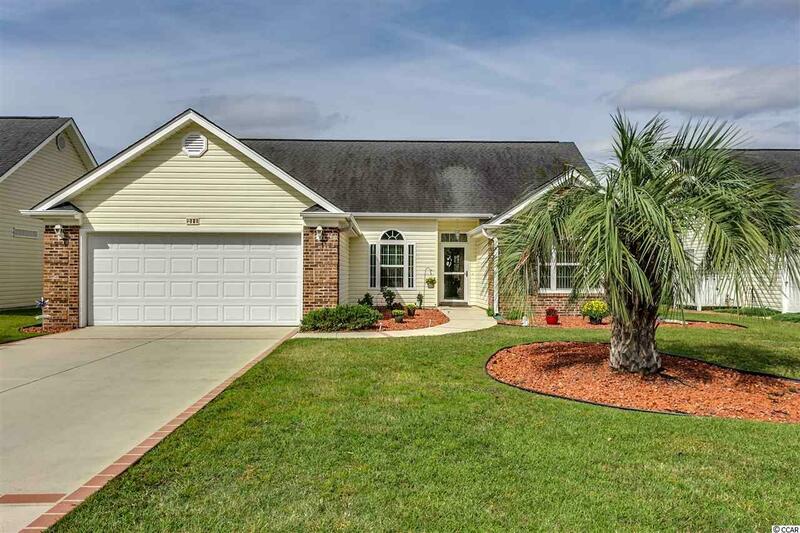 Beautiful, well-maintained home with lake views in Myrtle Trace, a premier 55+ community adjacent to the Burning Ridge Golf Course. This three bedroom, two a bath home is bright and open, with vaulted & 10' ceilings throughout the home. Enter the home and you are in the the large foyer with crown molding, the hardwood floors flow into the dining room with palladium window, crown molding & chair rail, hardwood continues over in the hallway with two guest bedrooms and bath - front bedroom has palladium window and hardwood floor. Continue on into the open space of the kitchen with large pantry, desk area, stainless steel appliances & granite counter-tops. There is also a breakfast bar & dining nook with bay windows, the whole space is open to the great room with vaulted ceilings with sliding door out onto the screen porch overlooking the lake where you can relax and enjoy the very serene setting by yourself or while entertaining. Being a true split bedroom plan, for privacy, the master suite is on the other side and faces the back of the home, taking advantage of views of the lake. The master suite has vaulted ceiling and 2 closets with plenty of space for everything. Master-bath has a walk-in shower, large soaking tub, double sinks & separate toilet area. Landry room in conveniently located to the master suite with access to the 2 car garage with utility sink and side door for easy access to the yard. The driveway, walkway & screen-porch have a beautiful epoxy finish. This community features mature landscaping, an active clubhouse, a pool, bocce ball court, horse shoes along with clubs & activities to keep you as busy as you want to be.